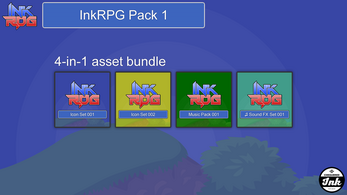 Get a head start on creating your own RPGs with InkRPG! 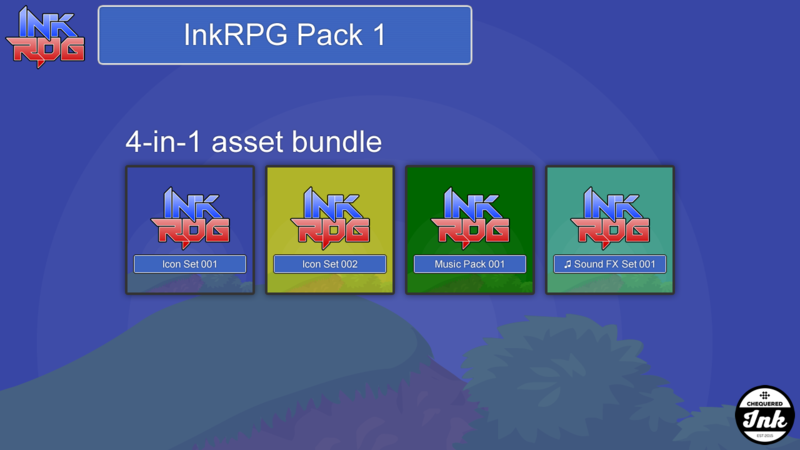 Liven up your adventure with graphics, sound effects and music in our first combined asset pack. 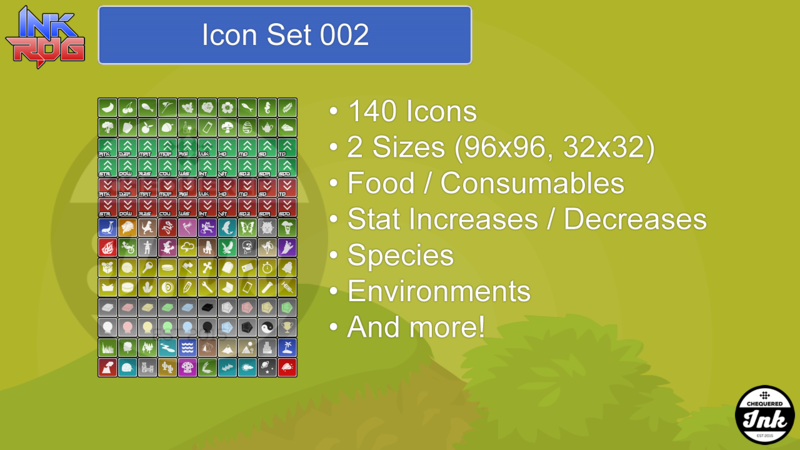 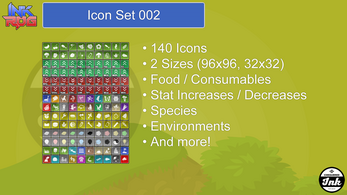 300 unique icons in PNG format, available in 2 different sizes for a total of 600 images. 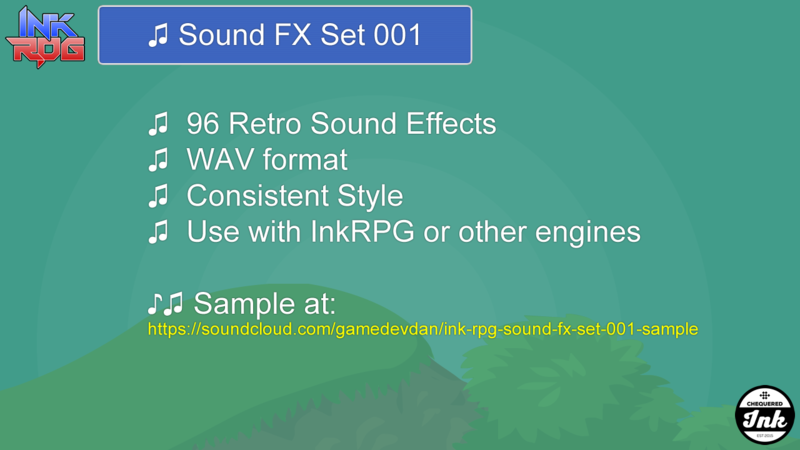 16 unique pieces of background music, available in MIDI and OGG format. 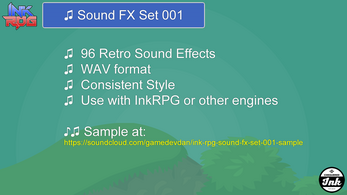 96 unique, retro-style sound effects in WAV format. 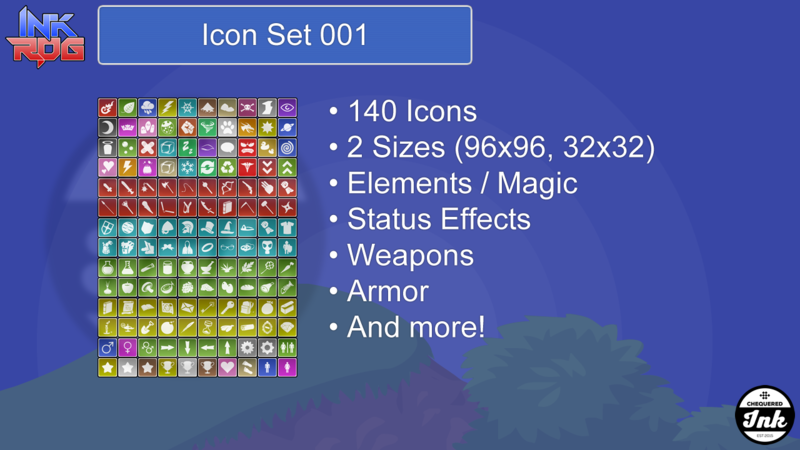 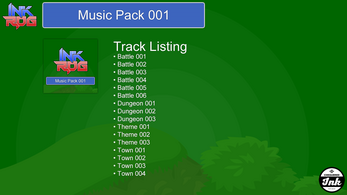 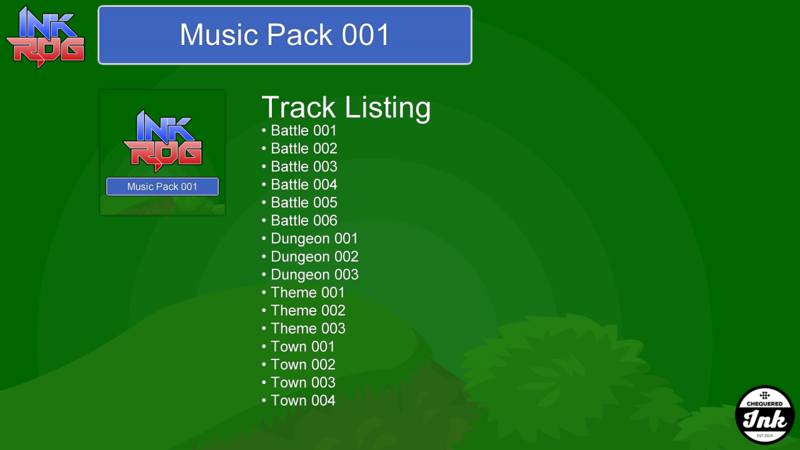 Assets are designed to work with GameMaker: Studio or RPG Maker VX Ace, but can be used in any program or engine that supports the available file formats. 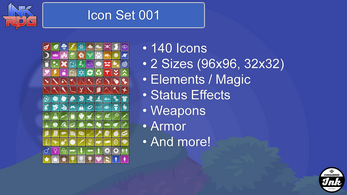 Dive in and start your next adventure now!